Inter Milan full-back Yuto Nagatomo has emerged as a surprise target for Burnley ahead of the winter transfer window. Burnley are interested in 30 year-old, according to the football transfer rumours in Italian Media. 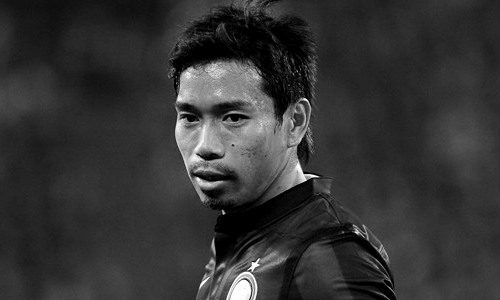 Nagatomo signed for Inter Milan from AC Cesena in 2011 and has a valid contract until June 2019. Since his arrival from AC Cesena, Japan international has scored 11 goals and provided 18 assists in 118 games for Inter Milan. He is yet to score a goal in 11 games in all competition this season. Euro Football Rumours were informed that Nagatomo is considering the offer from Premier club Burnley, but Italian giant are not eager to let him go in January transfer window. Japan international will be fantastic signing for Burnley because he could cover two positions. He can play naturally as a left-back, but could play in a more advanced left midfield position, too. How strong that interest is and whether Burnley will make a January move remains to be seen but it is certainly one worth keeping an eye on.